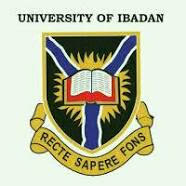 This is to inform all the newly admitted students of the University of Ibadan that the registration and clearance will commence on Monday 12th March 2018 and end on Monday, 19th March 2018. All instructions are to be carefully read before proceeding with the submissions. -Candidates are advised to ensure that all downloaded forms/documents are properly filled before being re-uploaded. - Very clear scanned documents should be uploaded in JPEG and/or PNG format and not more than 1MB. -Please note that illegible documents will cause a delay in your clearance.